Home Mortgage When should someone consider a Reverse Mortgage and why choose Dollar Bank? Hi, I'm Mangino, with me Randy Davis, assistant vice president of Dollar Bank Residential Lending. We're here to talk about when someone should consider a reverse mortgage and why they should consider Dollar Bank. So, Randy, give an example of when someone should consider a reverse mortgage. Well, many seniors are having trouble making ends meet, especially in today's economy. And they're not accessing money that they have in their house that they could. So with the reverse mortgage they can access that money, it will free up all that home equity and let them get access to it. When you ask that question one of my first customers I gave a reverse mortage came to mind. He definitely was a good example of someone who needs a reverse mortgage. He walked into my office and told me about how he was living in a house worth around $200-225,000. But he went through his retirement income, it was gone, and he was only 73 at that time, 72 at that time, and he was living on $1001 Social Security. And he had a $300 mortgage payment. So we ran the numbers, it looked like, and how it ended up after we did the whole thing, is he was able to pay off that $300 mortgage, so he went from living on $1001 Social Security to having that to having a payment freed up for $300, plus we gave him what's called a tenure payment, which means as long as he lives in that house he had an extra $650 every month to live on. So now you have that extra $650 plus the $300 gone, the $1000 he was living on, and we gave him access to a line of credit of $30,000 to help him pay his taxes and insurance or if any sort of emergency arises. So I think a lot of people over 62 that have a mortgage that they don't want to pay any more, it's hard for them to do, or if they don't have any emergency backup money, like they might be getting along fine month to month but they don't have any money to back them up in case something happens. 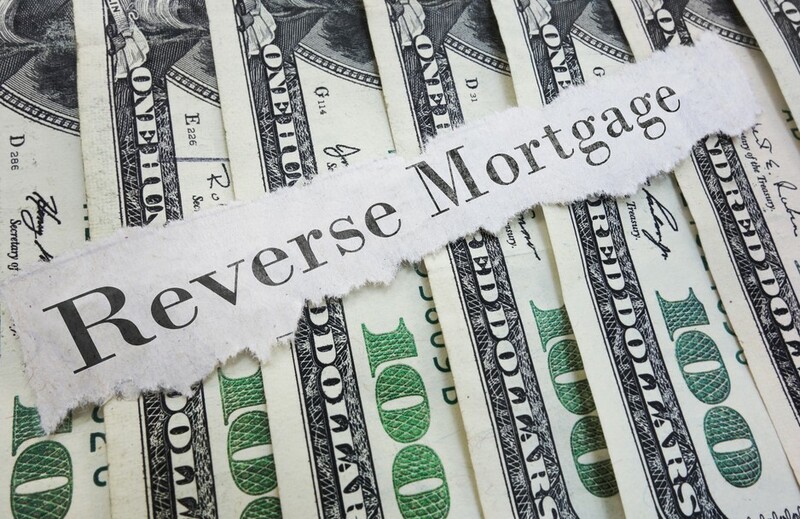 I think there's a lot of different reasons to take a look at reverse mortgages. So, Randy, why is it that somebody should consider Dollar Bank for their next reverse mortgage? Well, Dollar Bank been helping people with getting the right mortgage product for years, and helping them with a reverse mortgage is no different. It's all about education with us. We really want to sit down with the customer face to face, most of the time they'll bring a trusted advisor, whether that's their adult child or financial planner, or whoever, but it's all about education with us. We want to sit down, show them all the different options available to them, we're not on commission so we're not pushy, we take our time with the people. I have never sold a reverse mortgage to anybody, it's my job to educate them and let them choose. I just had a customer call the other day from two years ago. He goes, "Hey, I'm ready now." I say, "Well, that's great." So we're getting together. Takes a long time. Some people are like that. Some people it's two years. Also, Dollar Bank, we don't charge orgination fees, some companies do, $2500-$6000. We're a member of the National Reverse Mortgage Lenders Association, an approved HUD lender, and I'm one of currently a few people that are certified in the whole country as a certified Reverse Mortgage Professional through NRMLA, the National Reverse Mortgage Lenders Association. And at Dollar Bank, it's all about long after your reverse mortgage has been closed, we're here to help with any questions on servicing or anything you want to know about your reverse mortgage. We'll be here. Thank you, Randy. For more information contact a Dollar Bank reverse mortgage expert at 1-800-344-LOAN or visit DollarBank.com.